Late second to early third century A.D. capitals: 0.055.
b) is now at Beni Ulid. Corpus Inscriptionum Latinarum, VIII:22666; Petrignani, Il Sahara Tripolitano (Monografie a cura del Ministero delle Colonie) Roma, 1923, ill. opp. p. 17. This edition taken from J. M. Reynolds and J. 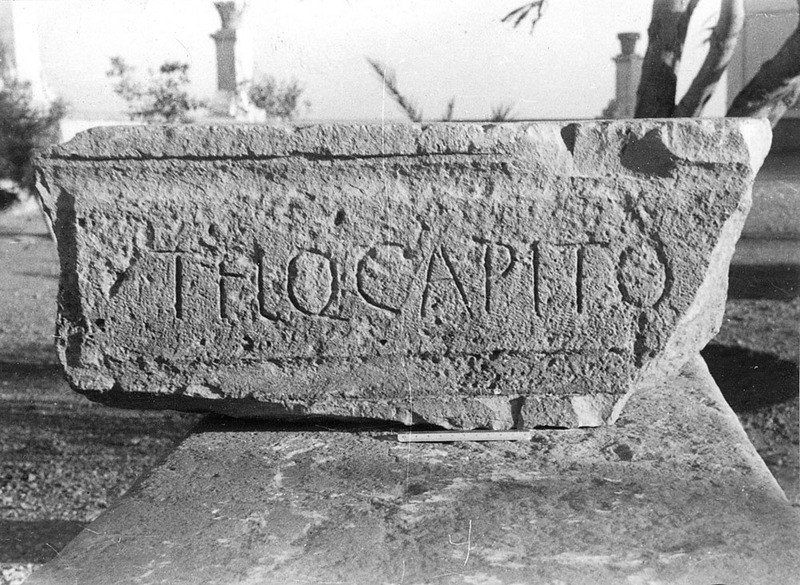 B. Ward-Perkins, The Inscriptions of Roman Tripolitania, Rome: British School at Rome, 1952.
b.1, The letters IO, illustrated by Petrignani, are now lost.